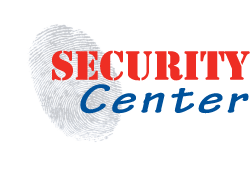 Identity Theft is a broad term used to refer to the variety of means by which criminals attempt to defraud you and steal your identity, and subsequently your money. Your identity is encompassed by a combination of several pieces of personal identifying information such as your full name, Social Security number, and date of birth (to name a few). Thieves then use these pieces of information to illegally access your existing accounts, open new accounts, initiate transactions in your name, and sometimes even trick you into doing this for them! You are at risk virtually every day as identity thieves are constantly creating new ways to steal your money. They are sneaky and tricky and often try to get you to do the work for them, looking for the easiest path. You're likely familiar with some of the means by which a thief can steal your personal identifying information, but there are also many ways you might not be familiar with. Understanding the different types of fraud should help you avoid becoming a victim. Education is your best defense. There are many ways that you can protect yourself, but many people forget to do some things or overlook some of the protections necessary. Whatever gaps you leave in your protection are obviously your biggest risks, so be sure to review your protections and close those gaps. 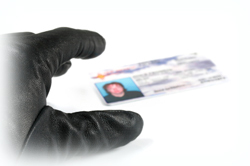 Following are some typical ways that Identity Theft is committed. This list is by no means complete, as criminals are always developing new ways to defraud you, but it does encompass many of the most common means used. From sneaky pick-pockets to bold purse snatchers, simple theft of your property is an obvious means by which a criminal can steal your personal identifying information. Of course, don't help them out by losing your purse or wallet through your own carelessness. The good news: In these instances, you often know quickly that your information has been compromised, allowing you to take quick preventive action. Thieves have been known to impersonate financial institutions, government agencies, Internet service providers, online retailers, and others. They send out millions of emails with a message that often describes some sort of problem with your account that requires immediate action. The message of the email then offers a link to the "company website" for you to input your account information or other personal identifying information. If you click on the link, you are instead directed to an imposter website that sends any information you provide directly to the thieves! The emails and imposter websites are often well crafted, including convincing language and impressive imitations of the legitimate websites. Rather than try to steal your information, they try to trick you into giving it right to them! Then they use the information you provide to access your accounts or steal your identity. The good news: While the bank may occasionally ask you questions (for your protection and privacy) to help establish your identity in different circumstances, note that we will NEVER ask for personal identifying information, such as your account number, Social Security number, PIN or password, via a phone call or email. The stories and circumstances vary for each scam, but in all instances, you are given a paper check (whether it be a cashier's check, money order, corporate check or personal check) and asked to wire money off to someone you do not know as part of the transaction or program. These fake checks often look very real, may contain authentic-looking watermarks, may include names and addresses of legitimate financial institutions, and may even include legitimate account and routing numbers. But in the end, it is still just a fake check. And just because funds are available on a check you've deposited, that still doesn't mean the check is good. Later, when the thief's check bounces, you are left liable, because money you wire can't be retrieved once it's sent. So, until your bank confirms that funds from a deposited check have actually been deposited into your account, you are responsible for any funds you withdraw against that check! It essentially comes down to this: NEVER wire money to anyone as part of a transaction or program that involves money you've received by check. The good news: Basic awareness of this scam is your best defense against it. Don't trust checks that come to you unexpectedly, ESPECIALLY when they are followed by a request for a wire transfer. Thieves often use email as a means to get us to infect our computers with malicious software (malware) designed to extract your personal identifying information, which will in turn help them steal your identity and/or your money. The malware self-installs on your computer without your knowledge and enables small pieces of information to be gathered about your Internet use, passwords, etc. Thieves take advantage of our curiosity regarding current world events, everything from big news stories and celebrity gossip to simple "funny" stories or videos, and infect web sites, search results, and email with malware. Scam emails may promote videos and pictures thieves hope will peak your interest, enticing you to click on them, but these emails will infect your computer when you click on the link or open the attachment. Computer hacking is a more overt, aggressive attack on your computer designed to extract your personal identifying information. The good news: A little caution with regard to links and attachments will go a long way. Plus, for those instances when simple caution isn't enough, there are firewalls, anti-spyware and anti-virus tools available to minimize your exposure to this type of attack. Thieves will sometimes take account statements, pre-qualified credit card offers, or other mail right from your mailbox. Statements and other mail can, of course, give them personal identifying information. Stolen credit card offers can sometimes be filled out and sent directly to the thief at another address to give the thief a credit card in your name, but in their possession, without you even knowing about it until the first bill comes! The good news: With the ability to receive e-statements for many of your accounts and services and the ability to opt out of many direct mail offers, mail theft is getting more difficult for thieves. Rather than trying to visibly steal your information, some thieves will simply go through the trash, whether it is at your home or at a company you do business with, looking for discarded documents that contain your personal identifying information. The good news: A good paper shredder at home can eliminate most of your risk exposure. And businesses are increasingly aware of the responsibility they assume for the handling of your personal identifying information and are taking the steps necessary to protect you. Sometimes thieves are able to place a "skimming" device at an unsupervised debit/credit card machine, such as at an ATM or gas station. Then when you swipe your card to use it to make a purchase or withdrawal, the device captures your card number and other information for the thief to steal. These are the very simple techniques of secretly looking over your shoulder to try to determine your PIN or password during a transaction and secretly listening when you speak personal identifying information aloud during a transaction. The good news: Simple alertness and attentiveness to your surroundings during transactions should help you avoid exposure.